​Ever wonder what to do with all the old prescription medications littering your medicine cabinet? If you’re throwing them out, or flushing them down the toilet or sink, you could be doing more harm than good. Statistics show less than half of prescription drugs are actually removed by water and sewage treatment facilities – putting people and wildlife at unwanted risk for environmental exposure and ingestion. 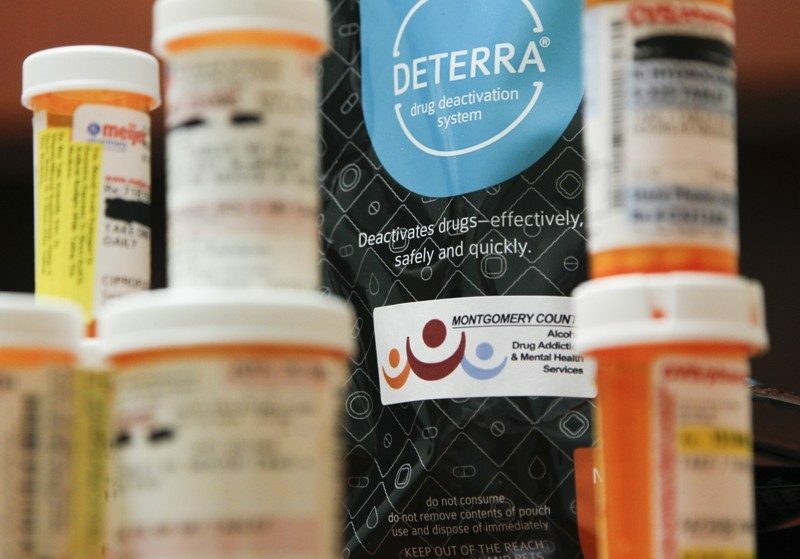 Between 2012 and 2016 Summit County saw a 309% increase in drug overdoses with 2,431 accidental overdoses occurring in 2016. Heroin users report first starting their recreational drug use via prescription pain relievers – often a free and easily available gateway drug for teens with access to their parents’ and grandparents’ unused prescriptions. According to the partnership’s website, more than 40 community organizations have come together to distribute 40,000 pouches and educational information about safe medicine usage and disposal. Known as Deterra® bags, these pouches, which come in 2 sizes, allow users to safely dispose of pain relievers and controlled substances by adding warm water to loose pills, liquids or patches rendering the active ingredients inert. Bags should be kept out of reach of children and pets once used because the amount of time it takes for the deactivation process to occur varies with the type and amount of medication being deactivated. The drug deactivation pouches were donated by Mallinckrodt, a leading global specialty pharmaceutical company. Darryl Brake, executive director for the Summit County Community Partnership, says, “Mallinckrodt’s donation provides people in our community a tangible way to reduce availability and access to expired and unused prescription pain medications. “Collaboration behind this initiative demonstrates what we can do together to combat the drug abuse epidemic. If each pouch is used to dispose of the pills they can hold, there will be 1.3 million fewer prescription pills available to fall into the wrong hands,” he said. Akron Children’s is one of a consortium of community organizations committed to preventing and eradicating substance abuse. Northeast Ohio residents can access the pouches at any Acme Fresh Market Pharmacy location, which will distribute 12,000 pouches as well as give advice on prescription drug safety. “We are handing out about 100 pouches a week and are confident that through this partnership we will be making a small difference in the opioid crisis that exists in our community,” said Carl.